We all need a certain amount of exercise to stay healthy, though depending on what you find interesting, the proper equipment can be expensive. 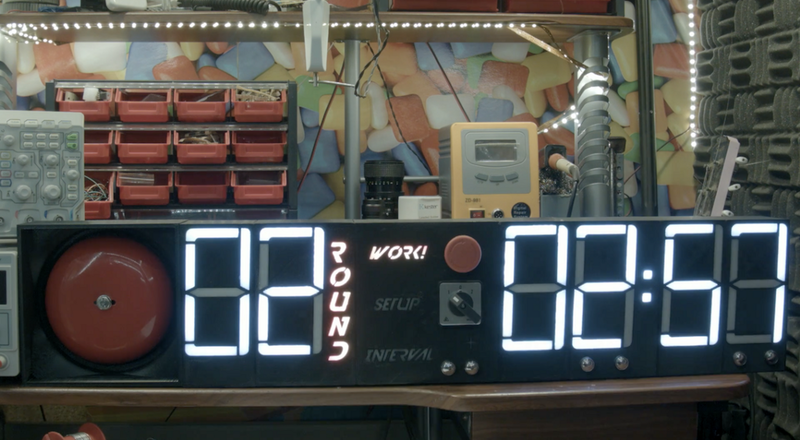 YouTuber NonZero recently joined a boxing association that a few of his friends put together on a shoestring budget, and after initially using a phone app to time rounds, realized that this wasn’t nearly as good as an actual large clock. Naturally, NonZero decided a proper clock would make an interesting project, and set to work creating a something that he and his fellow amateur fighters could be proud of. 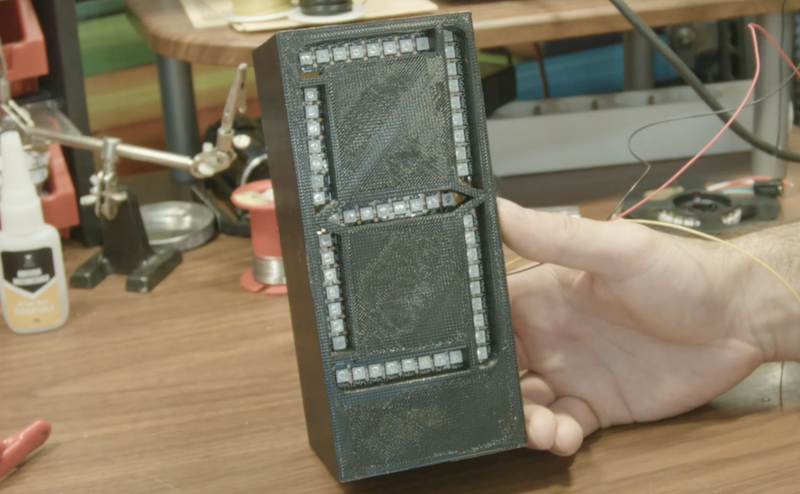 Rather than simply ordering a series of 7-segment displays off the Internet, he created his own numerical modules using RGB strips and 3D-printed housings. This allowed for a huge amount of control over the design, and the resulting devices are several inches tall. A diffuser is inserted into each number segment, as well as some simple text labeling. Round setup is dictated by an industrial-style 3-way switch, and the clock is turned on and off with an emergency stop button. While the gadget is nice visually, NonZero took things to the next level by using an actual bell, complete with a solenoid to announce round start and stop. The clock is controlled by an ESP32 board, which opens up possibilities for using its WiFi/Bluetooth capabilities in the future. ESP32 Boxing Clock Looks and Sounds Great was originally published in Hackster Blog on Medium, where people are continuing the conversation by highlighting and responding to this story.